We have seen a huge amount of excitement from hobbyists, students and scientists around building a DIY weather station to track what is going on around us on Planet Earth on a daily basis. 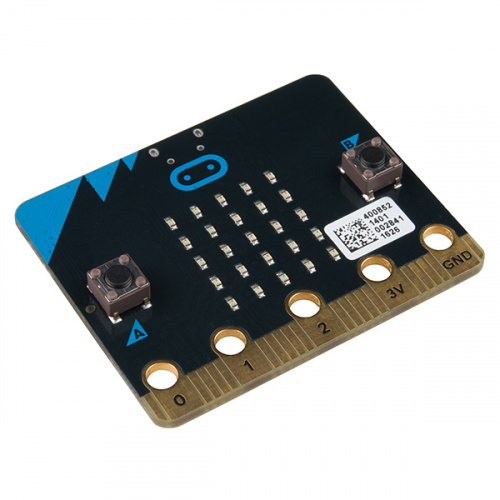 We have seen just as much excitement around the BBC's newly released micro:bit, which made its debut in the United Kingdom and is now available in the United States through SparkFun. And then it dawned on us...why not combine the two? So, here it is: a weather station kit that is built on top of the inexpensive, easy-to-use micro:bit and Microsoft MakeCode. We have also written seven experiments that walk you through how to use each and every component of the kit and how to use them with the micro:bit and Microsoft MakeCode. 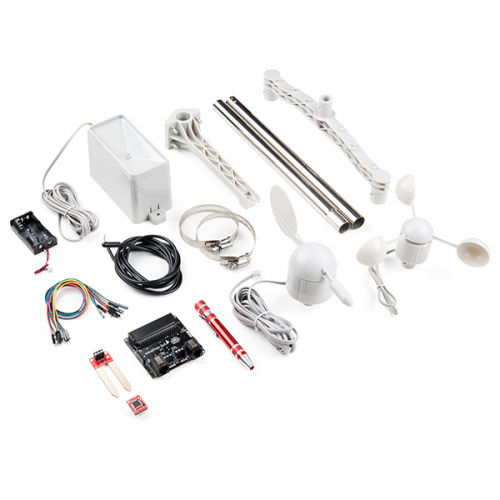 Below is all the parts included in the SparkFun micro:climate kit. The kit comes with everything you need to build a fully featured weather station for the micro:bit. All you need to supply is, well, the micro:bit! Please note that this guide is designed to get you started with the weather:bit board and the SparkFun micro:climate kit in a simple, straightforward way. We demonstrate each component's functionality and the corresponding code to make it work. While you explore this guide, we urge you to take your time and tinker with the sensors, code and ideas shared to build something tailored to your application. Our goal is to get you enough information and know-how to make you dangerous and then release you into the wild, weather station in hand, to do whatever you do with a weather station. Be sure to share your projects with us via Twitter or Facebook! We are excited to see you get creative and Start Something!